More than 1,000 people stream through the city to remember those killed. ANNAPOLIS, Md. 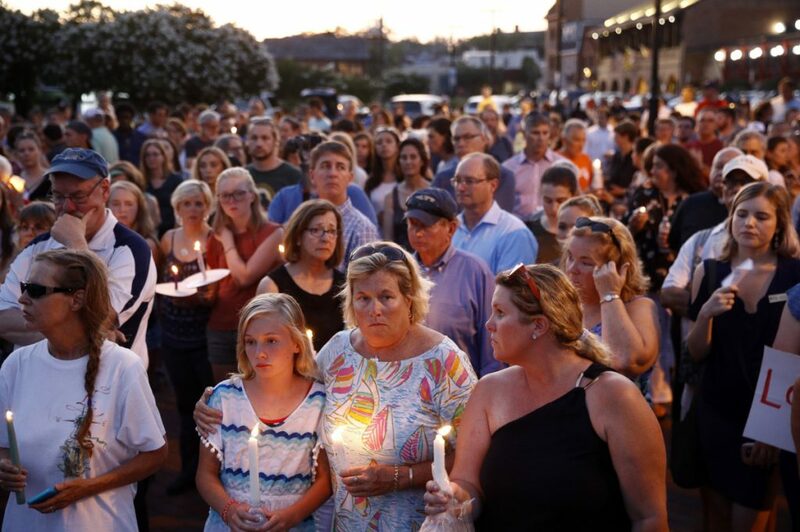 — The historic state capital of Annapolis is draped in grief from a shooting attack on the local newspaper, which killed journalists who chronicled soccer games, art exhibits and the fabric of small-city life. Designed more for an age of horses and buggies than SUVs, Annapolis has a baroque street plan of downtown traffic circles and diagonal streets that can make it feel distant from modern times. Lisa Quina, owner of an interior design studio called Barefoot Dwelling, recently moved from Baltimore – a city struggling for years to lower a high homicide rate – in search of a smaller, safer community.